David and Goliath is an old story about how an ordinary man overcame the odds and won against the awesome image and might of a giant. In the Bible story the Philistine giant expected a match-up with another warrior outfitted with body armor, a shield, a javelin, a short spear and a sword. Goliath looked down at the shepherd boy and took his appearance on the field of battle as a personal insult. Yet minutes later he was stricken in the forehead from a great distance by one of five smooth stones. Shortly thereafter Goliath’s head rolled in the dirt. In today’s terms this was an asymmetrical contest. How to proceed against giants hasn’t changed over the years. They have giant strengths, for sure, but they also have giant weaknesses. Yet the greatest truth of all is that underdogs, armed with courage and confidence, possess awesome strength too. Lets talk about how independently owned shredding companies can win in a shredding industry now dominated by Iron Mountain and Shred-it. Shred Nations’ mission is to help independent shredders be strong and successful in this new era. Unity of effort is built on respecting fellow employees and all other people we encounter, earning trust, demonstrating integrity in what we say and do, and on communicating effectively. We delight our customers thereby creating loyal advocates for our business. We project enthusiasm, fun and passion as we go about performing our job responsibilities. We are committed to continuous improvement and provide visibility to key metrics through a formal reporting system. We are committed to building the best place to work for the best people. Giants need rule books and policies, contracts and lawyers. They have hierarchies and layers of people. They become bureaucracies. In the end their bureaucracy kills discretionary effort of front-line employees. Gradually, overhead takes over. This requires higher and higher prices. Caring about customers becomes less and less important. Contracts become a substitute for great service and personal contact is lost. Yesterday’s contacts move on. GIANTS can’t build successful personal relationships. No matter how bad a GIANT’s service gets or how many conflicts over agreements, you can count on a public relations image that they are “service oriented” and operate with “integrity.” It makes sense to maintain a file of a giant’s public relations foibles. The quick eat the slow. The big think they eat the small. Choose to act fast with every customer opportunity. There’s absolutely no way a big company can care about customers like an entrepreneur. Speed and responsiveness, saying thank you, and telling your customers how much you value their business is key. Small business and giant businesses alike have a need to spread a message about their business. Giants spend millions, and small shredding businesses must rely on word of mouth. Refine your elevator speech: “So what do you do?” a stranger says. Drivers are key. They meet people every day and can even drop-in at the office next door while servicing a neighboring business. They should become expert in delivering the company’s elevator speech, can hand out business cards and can become good-will ambassadors. GIANTS’ advertisements costing millions of dollars telling readers they protect treasures and are trusted to store huge volumes of records for Fortune 500 companies. The impression they create can’t measure up to the effectiveness of a personal message delivered by an authentic spokesperson. The courage and confidence of running a successful business is unbeatable. If that’s not you, fake it until it’s true. Sheep get eaten. Your personal positive attitude is completely under your control. But back it up with performance. Growth, Cost leadership, and Profitability will one day help you leave your business having achieved your financial goals. On a personal level this requires iron-willed, effective leadership. The average business loses 15% of its customers per year. This implies to grow at 10%, requires huge amounts of new customers. The best internal method of obtaining referrals is referrals from existing customers. Organic growth is another winning strategy. Some successful companies routinely put extra security containers in each truck. Others have their drivers stay alert for new opportunities during each visit. Friendly drivers who consistently thank customers, are key. Their bond with customers can be priceless. In comparison, to achieve growth through conventional sales programs costs from $700 to $1,000 for each new customer. This includes advertising, customer relationship management, systems costs, and a sales force. The key to low cost trucking is route density. Best results come from building routes in your own neighborhood, building along transportation corridors, and building in clusters. Your drivers are your best sales force, Shred Nations can help pinpoint where referrals come from, and concentrating sales effort in prime areas work – either apart or as a coordinated program. When every customer is a profit center, every route a profit center, and every truck a profit center you’ve arrived. Nothing like this happens by accident, it is a result of planning and intentional effort. You can be sure giants will make long term contracts a centerpiece of their marketing effort. It allows them to cut back on service, raise prices while keeping a hand-hold onto their customer’s revenue. Small companies should learn from this. They should have friendly “letters of agreement” detailing each party’s responsibilities. The term of agreement should also be a number of years, and if agreeable they should be automatically renewable. This serves to protect your customer base. Liberal use of the legal term “interference with contractual relations” should discourage GIANTS from poaching your accounts. 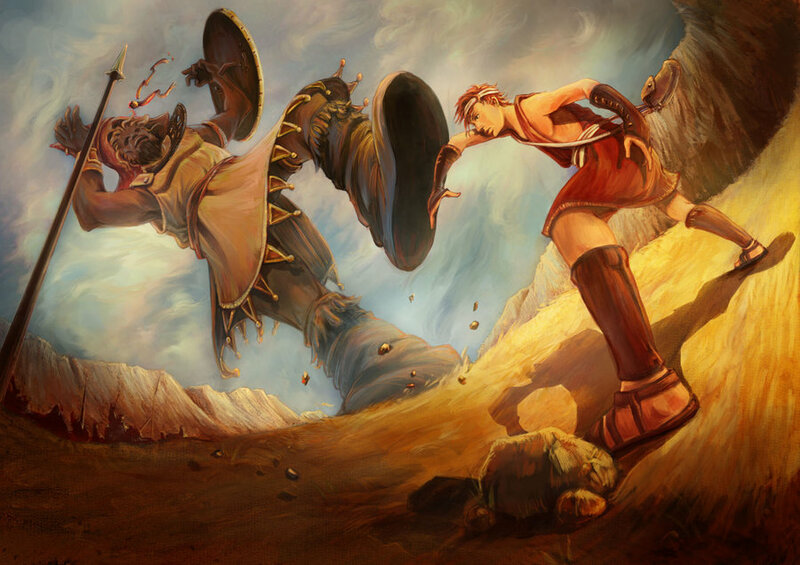 Like Goliath, a business giant will be insulted when you compete for business effectively and win. Shred Nations is like a precisely-guided smooth stone and belongs in your marketing program. We supply independent shredding companies a flow of new customers. Our sales-ready referrals are like a perfect pitch in baseball. There’s no guarantee you’ll hit every sales-ready referral out of the park but the batting average of network partners as a group is .810.